Facebook is notorious for capturing user data to create profiles that advertisers can target – and that includes the location data from your phone. If that makes you uncomfortable, you can stop the Facebook mobile app from tracking your location completely, or allow it to do so only when you’re using the app. The company has rolled out new location control for Android app users, and it’s sending an alert to users – both on iOS and Android – to check their location settings for the app. Launch the Facebook app on your phone, and then go to Settings and Privacy and tap on Settings. Scroll down to the Privacy section and tap on the Location option. You can also see and turn off Location History through a toggle as shown below, so that Facebook doesn’t keep a record of places you’ve visited. Tap on Location Services to turn on or turn off location tracking. 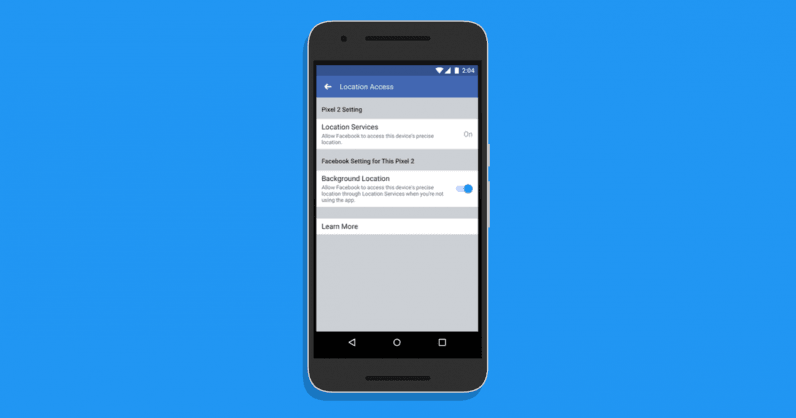 The Background Location option allows you to choose whether you want to allow Facebook to track your location even when you’re not using the app. Given Facebook’s recent mishaps with user data, we’d recommend turning off location services completely. However, if you use services like Nearby Friends, it’s a good idea to restrict the location access to only when you’re using the app.